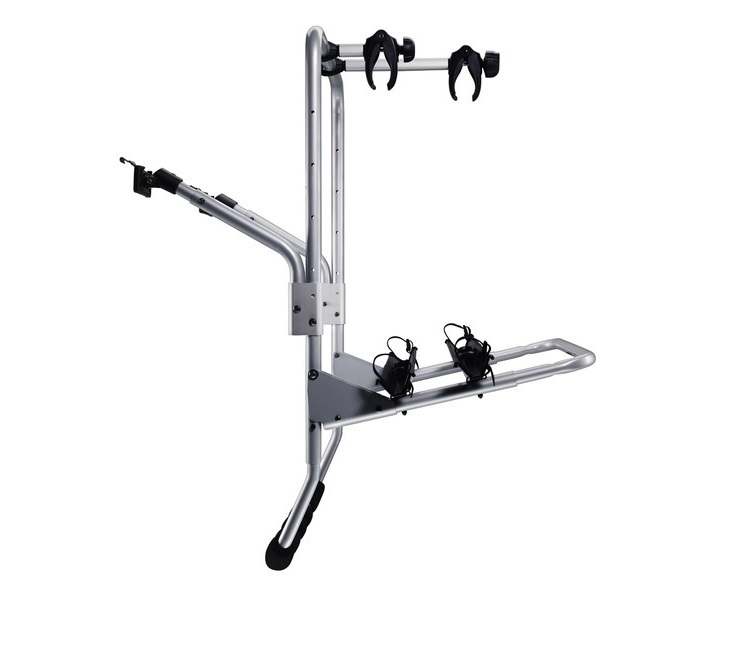 An elegant bike rack made of tough powder coated steel and aluminium. Especially suitable for mpv's, minivans and estate cars. Easy to fit, easy to use and secure without adjusting straps. 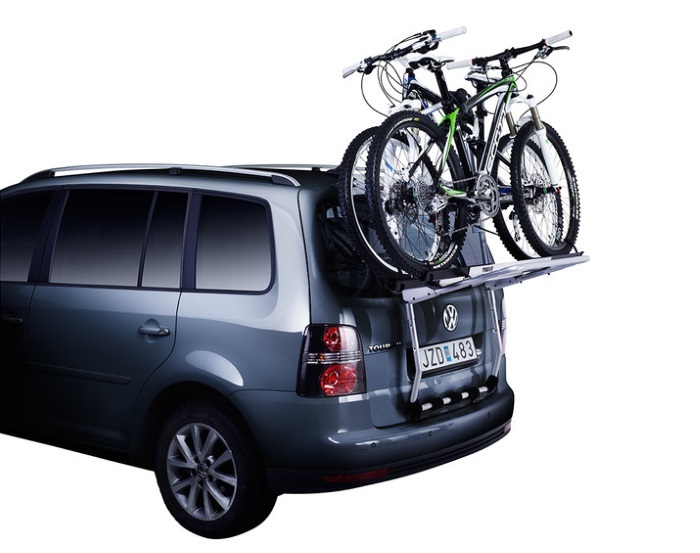 Special fitting kits tailored individually to each vehicle type enables this carrier to fit many car models perfectly. Thule Backpac carrier is equipped with adjustable quick-release wheel straps, and its basic version carries two bikes. An additional adapter 973-23 enables it to carry three bikes, and adapter 973-24 (requires 973-23 as well) enables it to carry up to four bikes on many vehicles. A locking adapter 567 is also available to lock the bike rack to the car for increased security. Placement does not cover rear lights or registration plates in most cases. Bike platform folds away when not in use. Load capacity 60kg. Not suitable for use with cars fitted with spoiler. Note: Please note that the Thule BackPac 2 973 is not a universal fit. 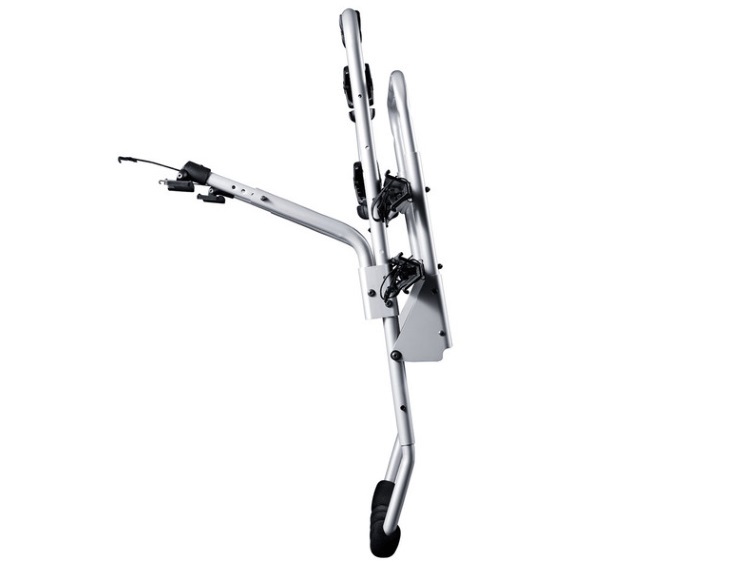 Please use our bike rack selector to check compatiblity with your vehicle. Carries 2 bikes as standard. 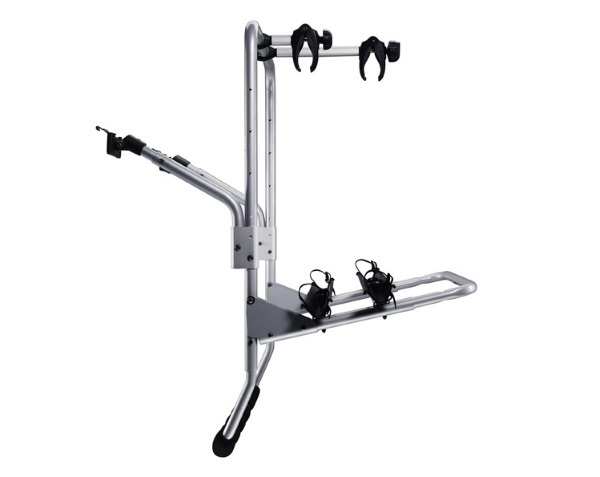 Upto 4 with additional bike adapters. Carrier Lockable: Optional lock available to lock the carrier to the car. 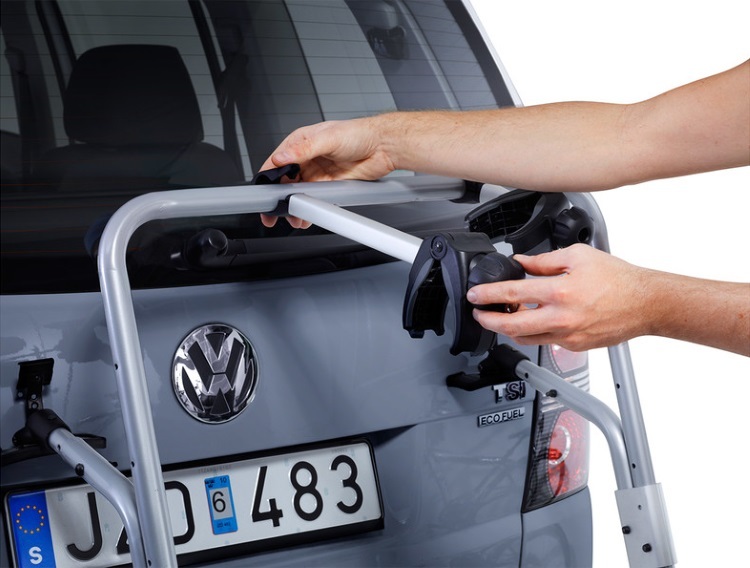 We offer a delivery service for the Thule BackPac 2 973 throughout the UK & Ireland to home and work addresses. Buy a Thule BackPac 2 973 online from our website and collect from one of our nationwide branches.